Skyblivion development What is being done and What can YOU do. If something is already taken it means that some AWESOME individual is already working on this... but if you think that you can be of help you can simply message them and see if you can collaborate and make something even better together. Claim jobs while you still can! Its important that you mention below what you are doing so that you wont start working on something thats already being done or completed. I will add your names to the spreadsheet on whatever you are working on. Where to start with this one... We will need convert all models from Oblivion and we will ave make sure that they work. Feel free to work on any of the models down below but make sure that others arent already working on it. if someone IS already working on it try to work something out and see if you can work together. If you think you can help please join our discord chat here: https://discord.gg/ZYmpMkt and apply. If its already converted you can start working on making your own models, dont forget to check the spreadsheet to look if its not already being done by someone. Clothes have been converted from the game but we are aiming to replace most if not all of them with custom made models. We are looking to remake as many assets as we can, this includes environmental, architecture, consumable items and everything in between. If you think you can help please join our discord chat here: https://discord.gg/ZYmpMkt and apply. 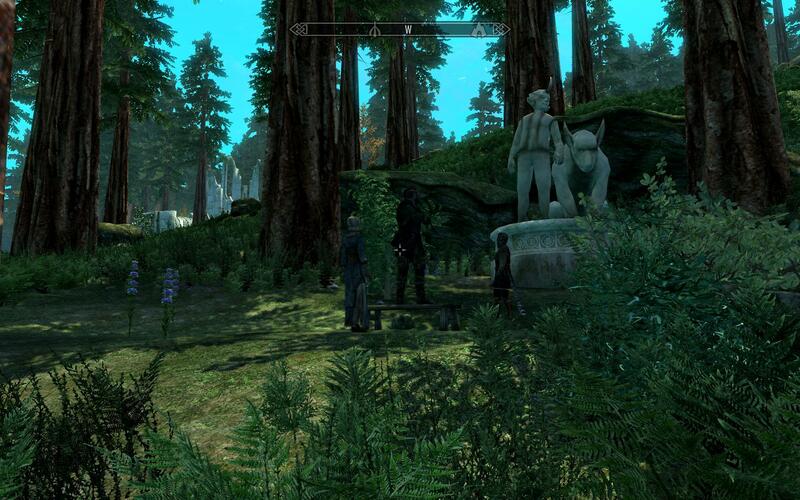 Creatures are what makes a game interesting to play and the same goes with oblivion. some of the vanilla Skyrim creatures and monsters can be used to replace the oblivion one's but allot of creatures have to be created from the ground up. We are looking for talented 3D artists preferably with an understanding of rigging to help us here. If you think you can help please join our discord chat here: https://discord.gg/ZYmpMkt and apply. We need scripters to help us with mechanics such as spellcrafting and allot of other jobs that have to be done using scripts. If you think you can help please join our discord chat here: https://discord.gg/ZYmpMkt and apply. As we know all NPC's have a unique look and the aim obviously is to have every NPC in Skyblivion. Certain NPC's have unique features and at this point all NPC's look alike.. We have to manually try to recreate the faces as good as possible. For additional questions PM me. It basically is on track, it's just that we are waiting for the files from Ormin. Zilav mentioned that it's pretty stable, which should leave a good base for quests and things like that. Obviously it's not as easy as it sounds, there will probably be a few complications just like there have been for Skywind. Zilav posted these today in chat. Skyblivion is doing okay from what I read in chat. Ormin recently found out about meshes having a -0 and trying to do something about that. I do know that collision was converted from Oblivion, which results in little to no crashes. Havok was added to clutter, so you can FUS RO DAH stuff for fun and watch it scatter everywhere. I think we should prioritize the work as well as listing what has and hasn't been done. I will make this clear. 1. I will make this clear. 3. We need navmeshing. With a working collisions it will be possible. Without navmeshes we can't go on with AI packages and quests. I'm talking about hand made high quality navmeshes, not autogenerated ones. Skyblivion is 2x times bigger than Skyrim, and 4x than Skywind, and we have a risk of bloating master file to the point of overloading CK. Navmeshes must be highly optimized using absolutely minimum number of islands and triangles to be small in size. 4. Modeling job: weapons, armors, trees and LOD models (Ormin converted LOD from oblivion, but a lot of meshes there aren't good at all). This can be done with 0.1 since models don't depend on master file. Thats the list of jobs for now. The easiest one available to anyone that can be started now is faces. p.s. I would like people to help with Skywind first. Please work on Skyblivion only if you are absolutely not interested in Skywind for some reason. thats a prett good idea! I had heard about that yes :) this post is meant for when the 0.2 version is released. Alright I will start adding those and more to the list with a short description. thnx for the help. You should just edit your posts, rather then bloating the page with new posts. I'd like to volunteer for Quest Recreation and ai. I know I can't handle all quests, so maybe if there are certain quests more important than others, please pm me to let me know which ones would be best to do. i'm starting on facegen. just finished zahrasha and will work my way up from there. i'll try to knock out all the z's characters.....well, ok more than that lol sincei just realized there's only 2. so i'll let you know how far i get. You can get a lot of actors, very cheap in most cases. A lot of games and mods use them. I know :) titel says w8 for .02 to be releases. Don't do quests at all even after 0.2. Yet. We will try to convert them. We also don't need flora, only trees and bushes. People I have great news! we ( I >:D) have found a gold mine... his name on the forums is SkyrimModding and he is a LEGEND! thought i'd update you guys. Skyblivion is gonna rock the foundations of modding/total conversion! So will Skyblivion need new voice acting? Seeing as pretty much all of it can be ported over from Oblivion I didn't think it would. No, but I'm planning to batch edit voices to get some more variation. regarding quests, even if we get to convertthem, there will certainly be some manual steps to follow (scripting, testing, etc..), so you can start a tracker like I did for skywind. Yeah that's what I suggested before, but I thought it would be more beneficial for the person who's actually merging them to make the spreadsheet. Either that or just unlock the page. Agree, but dialogs are not even converted yet. I've already converted almost all the weapons (looks in the mod section) and they look perfectly fine, someone volunteered for armor conversion too (and they will have splitted cuirass/greaves, unlike the armor in the link). I think we should keep all the same weapons and armour unless there is some Skyrim remake that looks nearly exactly the same in design but is higher res and more detailed. we could however use people to re-texture the armor/weapons to make them look better. ​Alright thnx for letting me know. should I add all the missing amors/weapons to the spreadsheet as ''not done'' or are you going to moddel the missing one's? Or should I get rid of armors and weapons all together (if everything is already being converted/done? Those are some nice weapon retextures for Oblivion. It keeps them looking close to the same, just more detailed. ​I know Im talking to u on steam atm but I have to say again that they look great! Here are the TES4 > TES5 converted shields (37 Models + Textures). There is no plugin to support these at the moment, assets only. Thats a smexy blade's shield! I will continue on the rest of the armor parts. I have almost figured out how to convert all the helmets. Oblivion is fully voiced. We can make it so the person can just copy and paste the voices from oblivion but we will not provide the files to avoid copy right issues. Also We cant do anything environment, navmesh, quest wise or anything that involves interiors or exteriors untill the crashing issues with the current models are fixed. So I guess that scraps my idea of editing the pitches of the voices to get more variation and avoid copyright infringement? even on this note. 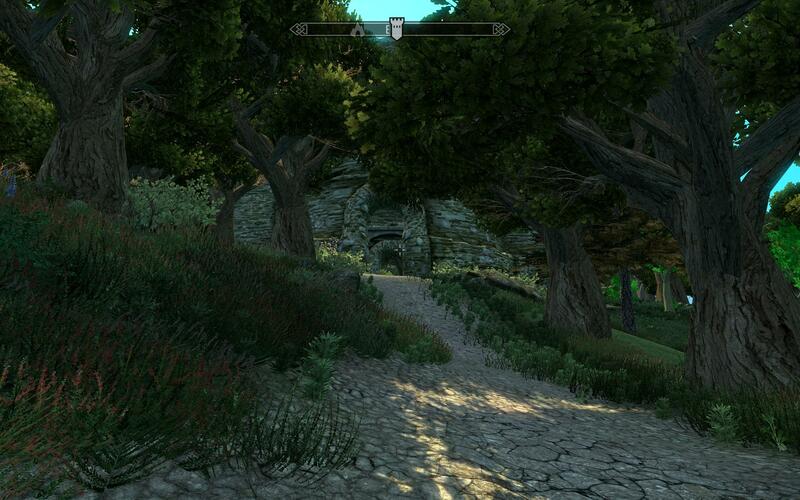 Skyoblivion doesn't need nearly as much work as Skywind. 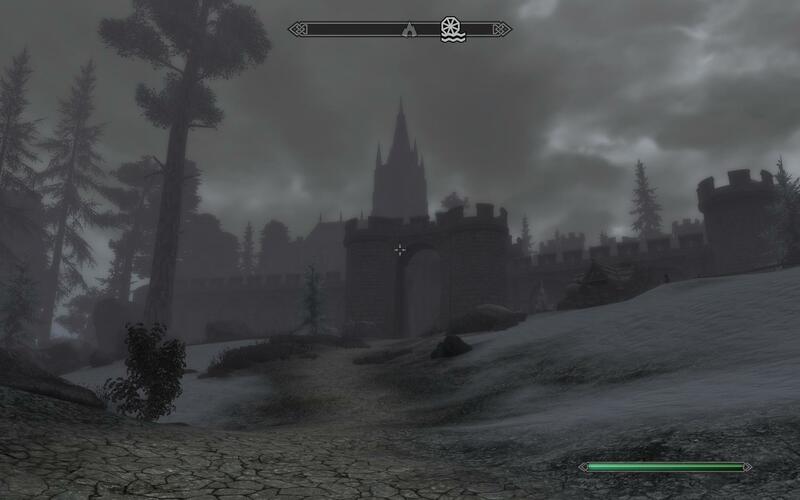 Skyrim and oblivion are very similar and are made in relatively the same generation. 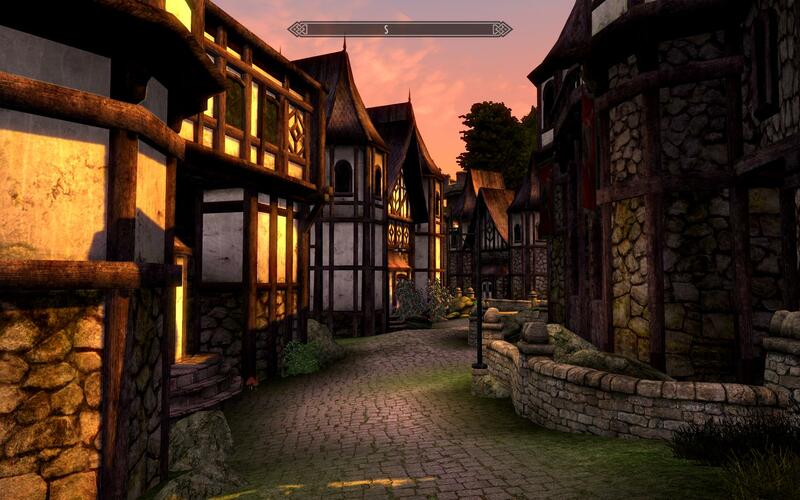 We can simply make people copy assets from oblivion into skyrim (granted there are a lot of broken meshes but im sure its possible to provide a download for that) Texture packs will more then likely be compatable such as quarl's texture pack 3. Sound horrible? No, I wasn't meaning drastically, just a bit. And yes texture packs are already compatible, I was using QTP 3 a while ago.